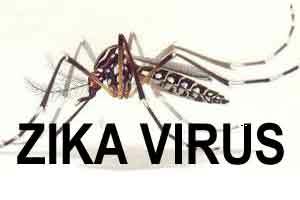 The antibodies “may have the dual utility as diagnostics capable of recognising Zika virus subtypes and may be further developed to treat Zika virus infection,” said Ravi Durvasula from Loyola University in the US. Zika is spread mainly by mosquitos. Most infected people experience no symptoms or mild symptoms such as a rash, mild fever and red eyes. However, infection during pregnancy can cause miscarriages, stillbirths and severe birth defects such as microcephaly, said Adinarayana Kunamneni, a research assistant professor at Loyola University. There is no effective vaccine or drug to treat the disease, said Kunamneni, senior author of the study published in the journal PLOS ONE. “The recent Zika virus outbreak is a health crisis with global repercussions,” said Durvasula. “Rapid spread of the disease within the epidemic regions, coupled with migration of infected persons, has underscored the need for rapid, robust and inexpensive diagnostic tools and therapeutics,” he said. Antibodies could be key to diagnosing and treating the Zika virus. An antibody is a Y-shaped protein made by the immune system. When a virus, bacterium or other pathogen invades the body, antibodies bind to antigens associated with the bug, marking it for the immune system to destroy. Using a technology called ribosome display, researchers generated six synthetic antibodies that bind to the Zika virus. The antibodies, which are inexpensive to produce, could be used in a simple filter paper test to detect the Zika virus in the field. If the filter paper turns colour, the Zika virus is present. Since the Zika virus is evolving, it’s useful to have six different antibodies. In the event the virus mutates, it’s likely at least one of the antibodies still would match the virus and thus could still be used in diagnosis and treatment. An antibody-based test for the Zika virus likely would be cheap and fast, and thus could easily be used to monitor mosquito populations for Zika. They also could educate the public — especially women who are pregnant or could become pregnant — on how to avoid mosquito bites by applying mosquito repellent, wearing long pants and long-sleeve shirts, eliminating standing water, etc. The antibodies are “neutralising,” meaning that when they bind to the Zika virus, they prevent the virus from infecting cells. This effectively renders the virus harmless. The neutralising property potentially could lead to the development of a drug that an at-risk woman could take to prevent the virus from infecting her foetus.